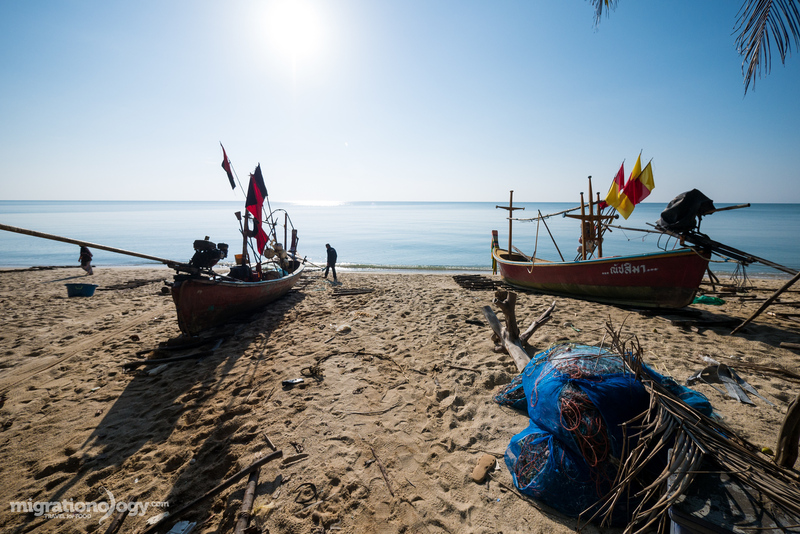 Within Sichon (สิชล), Thailand there is a stunningly beautiful and non-commercialized coastal fishing village in Southern Thailand. In this Sichon (สิชล) travel guide I’ll share with you all details about this amazing off-the-beaten-path community in Nakhon Si Thammarat. 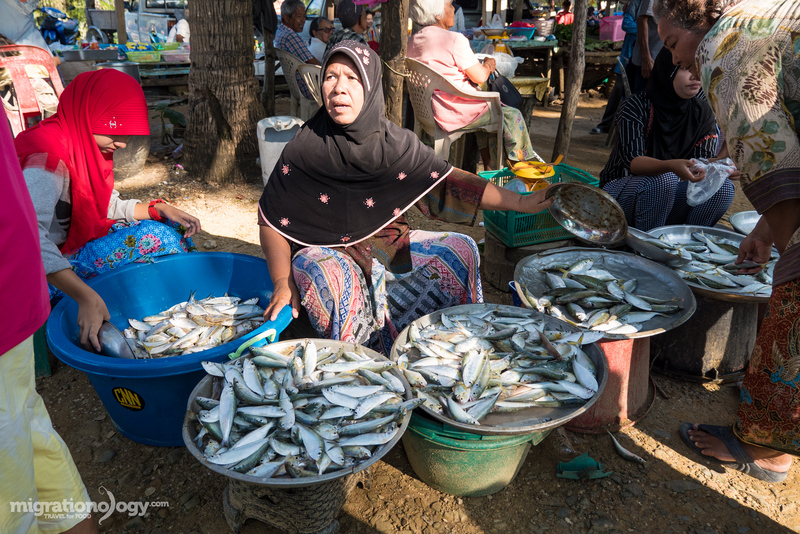 My wife and I were in Nakhon Si Thammarat visiting some of her relatives, and one day we decided to drive over to Sichon (สิชล) to check out a local fish market that I had heard about. Sichon is actually an entire district within Nakhon Si Thammarat province in southern Thailand, and Sichon is also the name of the town within Sichon district. This fishing village market, known as Talad Baan Plai Thon (ตลาดบ้านปลายทอน) is located just south of the town, about 5 km or so. It’s so relaxed, the market just waits for fishing boats to come back in the morning! My wife and I arrived at about 8 am in the morning, and although I was immediately impressed and in awe of the market scenery located right next to the beach, I had a little initial disappointment because there were no fish at the fish market. How disappointing is it to come to a fish market and there’s no fish? It’s like showing up to a restaurant you’ve been dreaming about, and when you get there it’s closed. 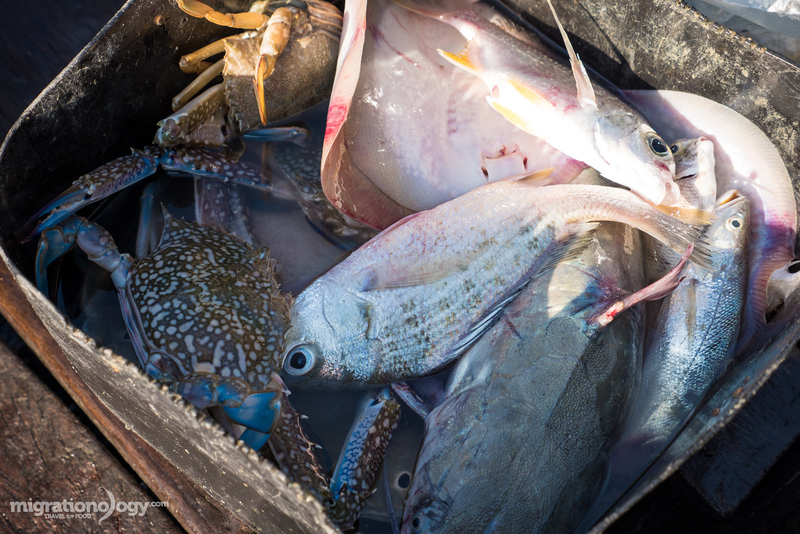 Luckily, we talked to some of the Aunty’s at the market with empty fish trays, and they mentioned that the boats hadn’t yet come back to shore in the morning – so the fish were still on their way! As we waited for the boats to arrive, we started hanging out and eating some small Thai snacks for breakfast. The more we hung around the market, the more my wife and I loved it even more, not only for the food, but for the incredibly friendly and hospitable people. 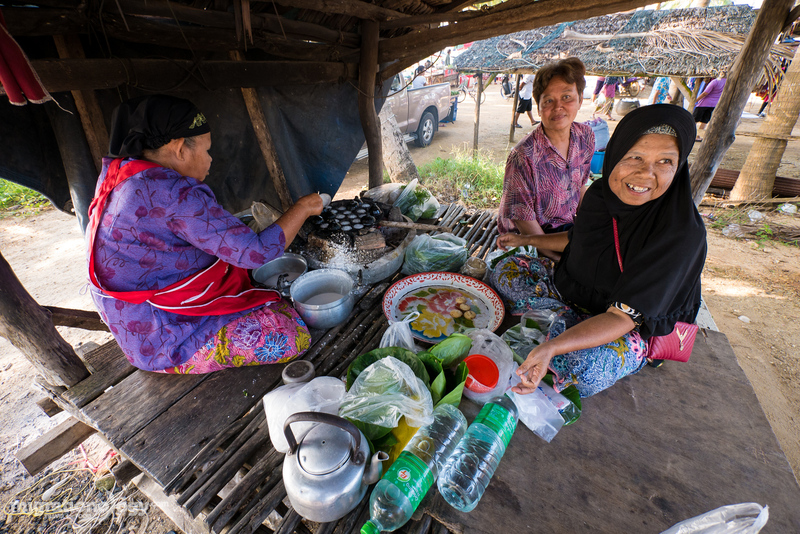 Khanom krok (ขนมครก), Thai coconut griddle cakes are one of my personal favorite Thai sweet snacks, and these friendly Aunty’s make one of the best versions you’ll ever have in Thailand. When you go to order, they actually invite you to sit down and hang out while you wait for your order, and you can sit there and eat as well. 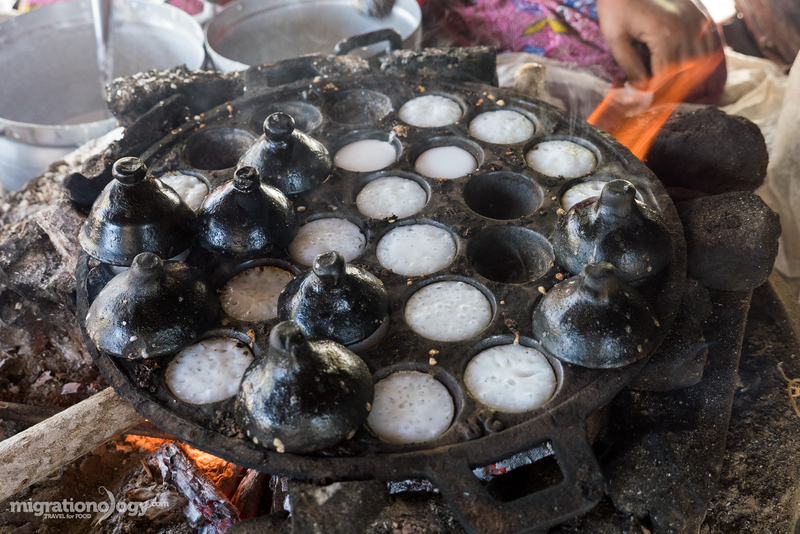 Aunty explained to me that they use no sugar in their khanom krok (ขนมครก), but just a combination of pure coconut cream, and a little rice flour to hold them together, and cooked in an ancient iron griddle over fire. The coconut griddle cakes were perfectly rich and creamy and caramelized on the bottom edges. 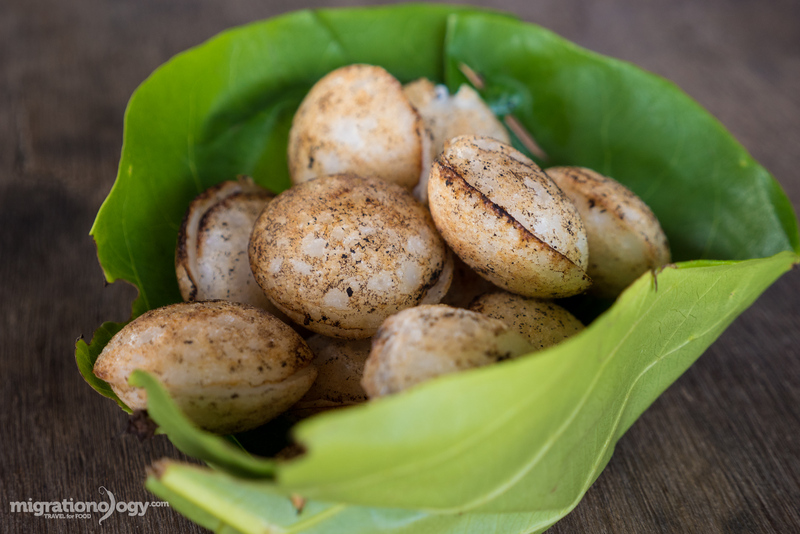 You’ll find khanom krok (ขนมครก) all over Bangkok too, but these are far superior than your average street khanom krok, due to both ingredients and cooking method. These were probably the best I’ve ever had in Thailand, along with the friendly service and scenery. It didn’t take too long for some of the fishing boats to start slowly coming back to shore, one by one. One of the best thing about this local fish market in Thailand is that it’s almost completely non-commercialized (here’s a comparison of more of a commercial Thai fish market). 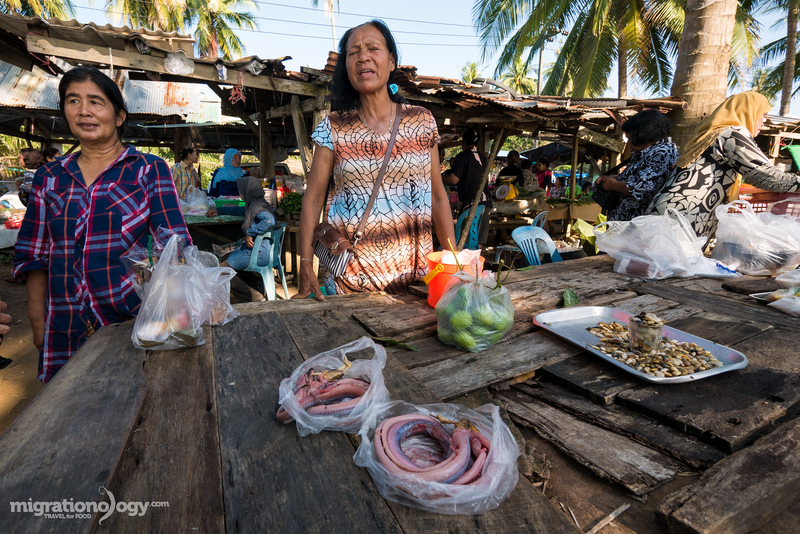 Just about all the seafood caught is sold and consumed within the community, rather than being transported to other major cities or even Bangkok. It remains a pristine local community, and it’s incredibly beautiful. More and more boats started landing on shore, and as soon as a boat came in, a handful of ladies would rush over to see the catch. I just couldn’t stop admiring the beauty of the natural scenery. The market is literally picture perfect, located right next to the calm beach lined with coconut trees. It was one of those destinations where I almost fell into a dream like status. It really reminded me of some of the serene places in Zanzibar or on the coast of East Africa. 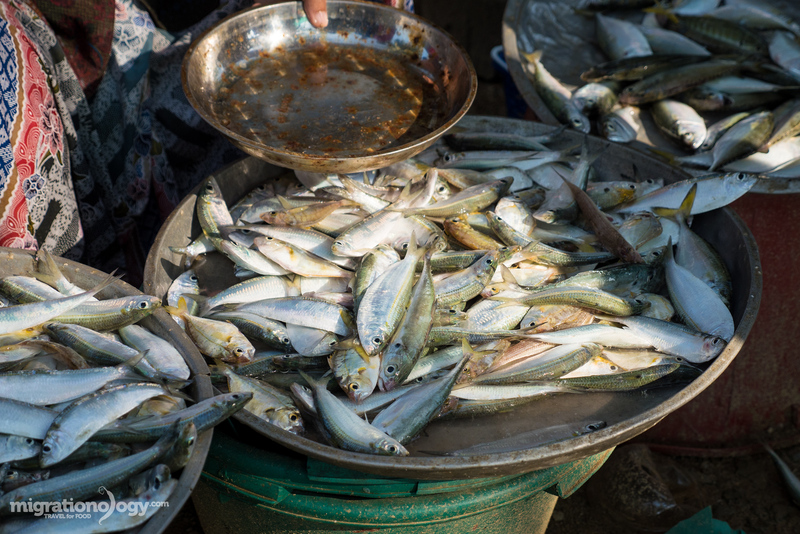 The fish started trickling into the market, the trays filled with mostly small fish like yellowstripe scad and mackerel. An Aunty explained to me that some of the fishermen were family and they sold their own catch at the market, while other market vendors would buy from fishermen and re-sell at the market. You could visit Talad Baan Plai Thon (ตลาดบ้านปลายทอน) and get lucky to see some bigger fish and other seafood, but today was honestly not a great catch. I loved seeing the local lifestyle. All the fish at the market on this day were what people living in the community would buy and eat – not some giant fish that they would want to sell in a bigger city. 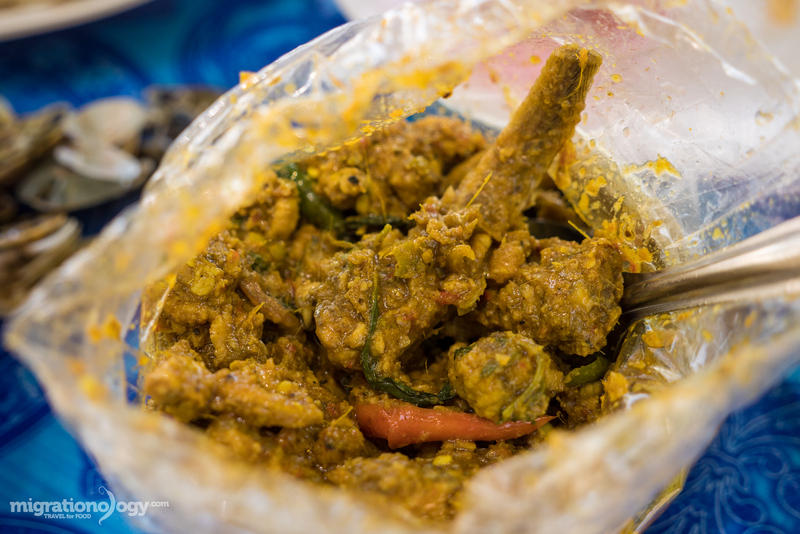 One of the dreams of being a travel eater is having someone local cook, like Grandma cooking Sri Lankan curry from scratch years ago. To me, that’s the best of the best of traveling for food. We decided to buy the rest of the eels! 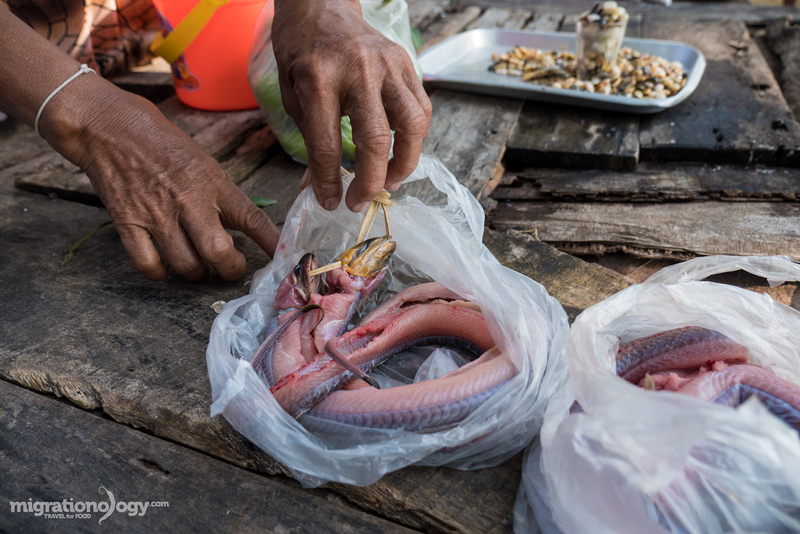 My wife and I met an Aunty selling eels (ปลาไหล), not seawater, but freshwater, and they looked fresh and delicious. 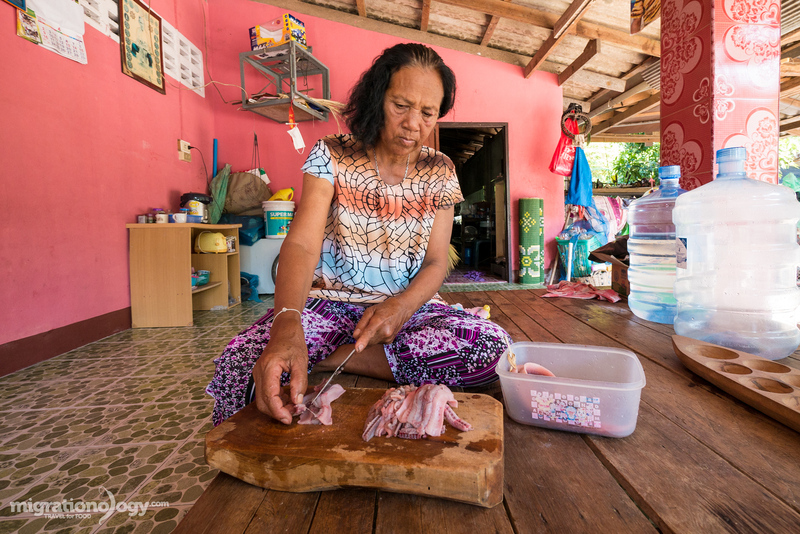 We decided to buy the rest of her eels (1 bag is 60 Baht ($1.72), and she kindly agreed to take me back to her home in the village and cook them. The next thing you know, I was on the back of her motorbike en-route to her family home to cook spicy Thai eel curry (pad phet pla lai ผัดเผ็ดปลาไหล). After expertly slicing up the eel, she fried it pad phet style – a southern Thai version of a chili paste stir fry with extra chilies and herbs (here’s a similar recipe that my mother in law makes). She packed all the chili curry eel into bags, and brought me back to the market. It was amazing and a completely random experience. By this time, in the middle of the morning, all the fishing boats were back, and the fish market was pretty quiet. So we decided to drive around and find a restaurant to eat lunch. 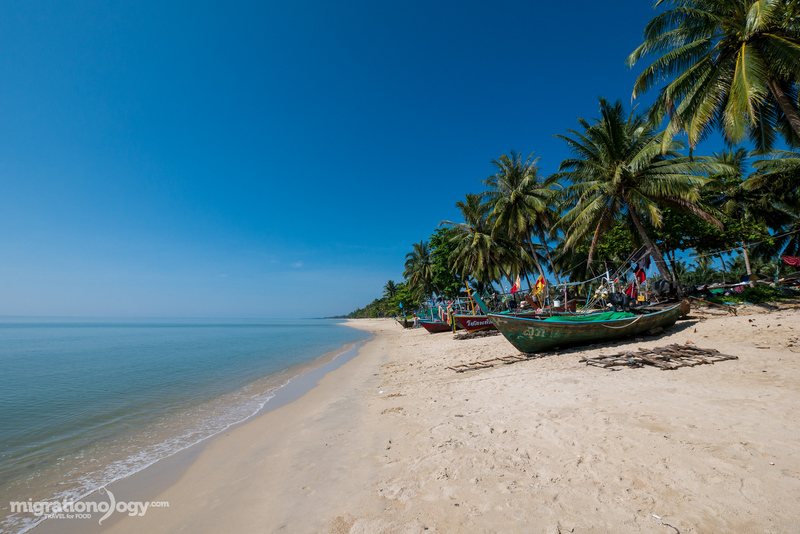 The natural beauty in Sichon (สิชล), Thailand is just picture perfect – the swaying coconut trees, lush greenery, and glimpses of the glassy surface of the sea. Driving along we stopped to see some coconut farmers, and their monkeys who were picking coconuts. According to NPR, monkeys have been picking coconuts in Southeast Asia for over 400 years. And while there is some notable controversy about the practice, from what I observed, it looked like the owners were taking great care of their monkeys and treating them almost like family. This particular monkey was named Kai Mook. NOTE: I’m not one to judge about the practice, but I’m just sharing a few of the things you’ll see and experience when traveling around Sichon. Part of the beauty of traveling to Sichon (สิชล) is its quietness and non-commercialism. However, you won’t find many restaurants either, but that’s alright. We stopped at one of the very few visible restaurant located just down the beach from the fish market. Again, the Aunty’s were just so incredibly nice and friendly and happy to see us there. It’s a fully Halal restaurant and we ordered a couple of simple Thai stir fry dishes including pad kraprao neua (ผัดกระเพราเนื้อ), minced beef stir fried with holy basil, and kai jeow (ไข่เจียว), a Thai omelet. Additionally, she wouldn’t even charge us for it, but she cooked up a plate of hoy liab nam man hoy (หอยเสียบน้ำมันหอย), small local clams, stir fried with oyster sauce. 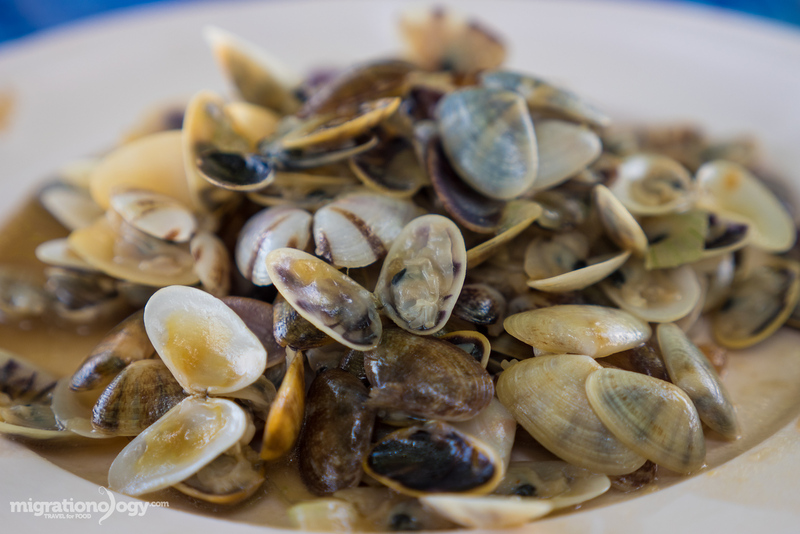 The clams were caught literally meters away from the restaurant on the beach. And not forgetting that curry eel (pad phet pla lai ผัดเผ็ดปลาไหล)! It was a flavor overload, absolutely packed full of curry paste, including chilies, turmeric, lemongrass, basil, and green peppercorns. The eel itself was buttery and rich, and coated in immense flavor. 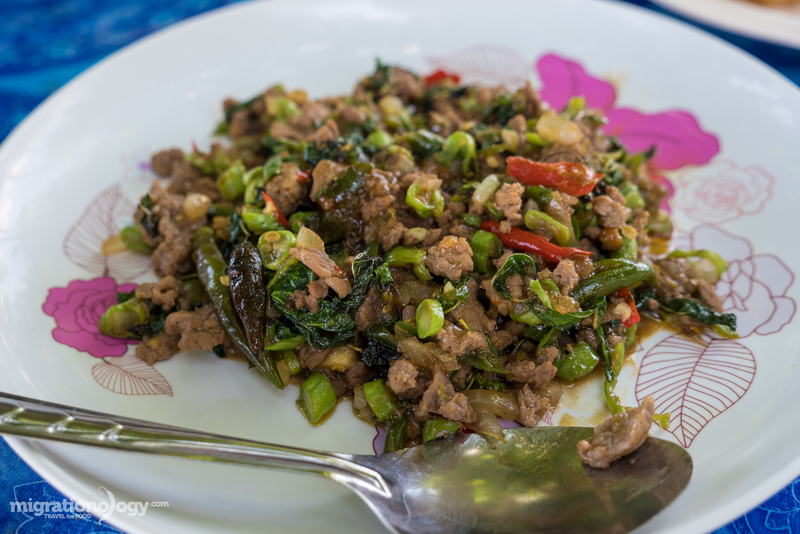 It was my kind of a dish, and I couldn’t have been happier sitting there on the beach, eating this simple home-cooked style meal in Sichon (สิชล). I was so satisfied I didn’t want anything… unless of course a coconut! After lunch, there was nothing I could have possibly wanted. Unless of course there happened to be a coconut, which in the land of coconuts, there’s always a coconut. 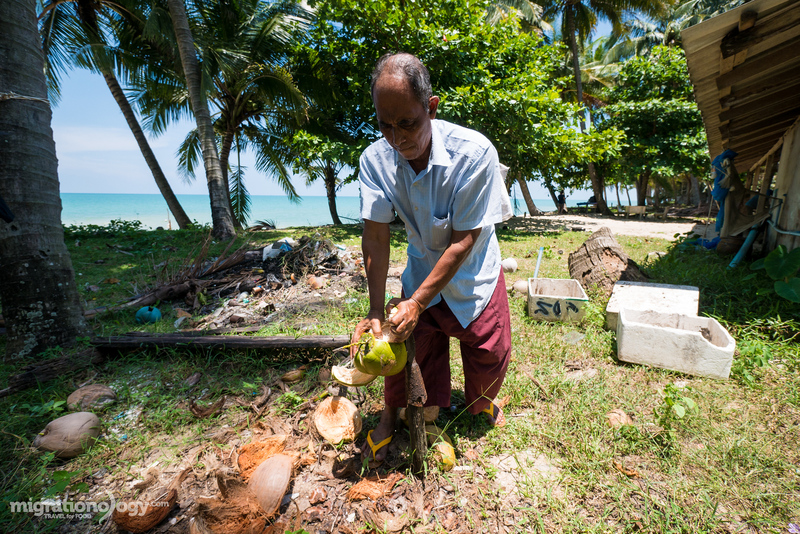 I actually had gotten the coconut from the coconut famers earlier in the morning. And that completed our small adventure and relaxation at Talad Baan Plai Thon (ตลาดบ้านปลายทอน) in Sichon (สิชล), Thailand. 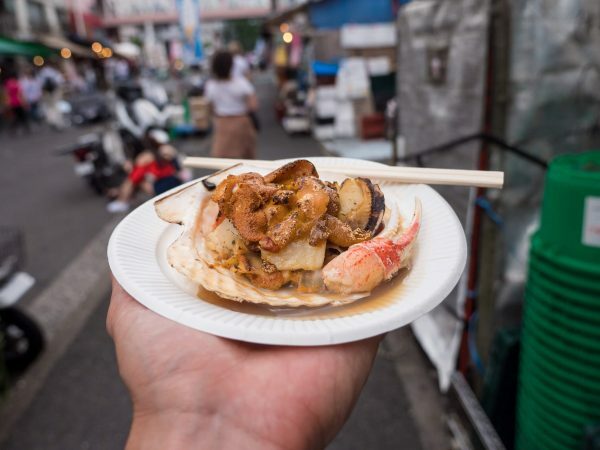 You can press play to watch the full video of this entire day, going to the fish market, and cooking that amazing curry eel. Sichon (สิชล) is a non-commercialized, peaceful and friendly, fishing community village in Southern Thailand. 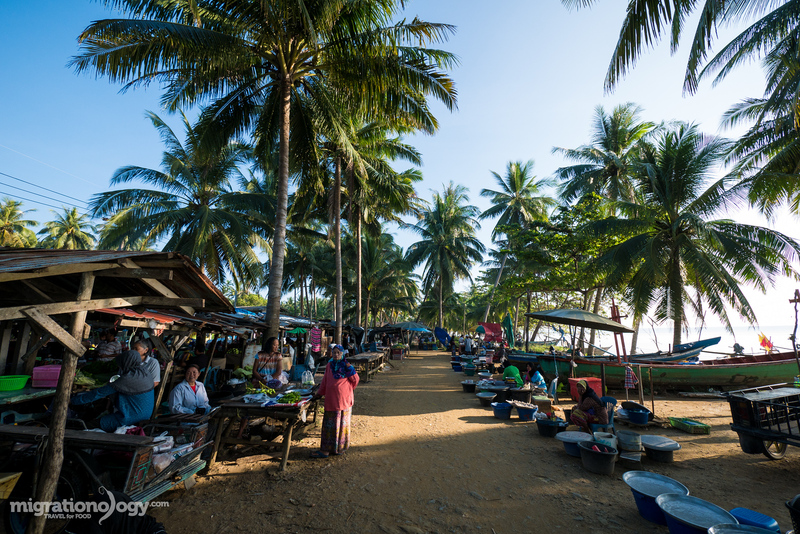 While there are some semi-large resorts in the northern part of Sichon, if you go to this fish market village, Talad Baan Plai Thon (ตลาดบ้านปลายทอน), you’ll be surrounded by pristine local culture. You can find some basic bungalow style accommodation like S.N Plytorn Beach Hotel, that I drove by, which looked very small and very quiet. It’s the type of place you’d go to get away from everything, and enjoy the local culture. I came to Sichon on a day trip from Khanom, located about a 30 minute drive from Sichon. 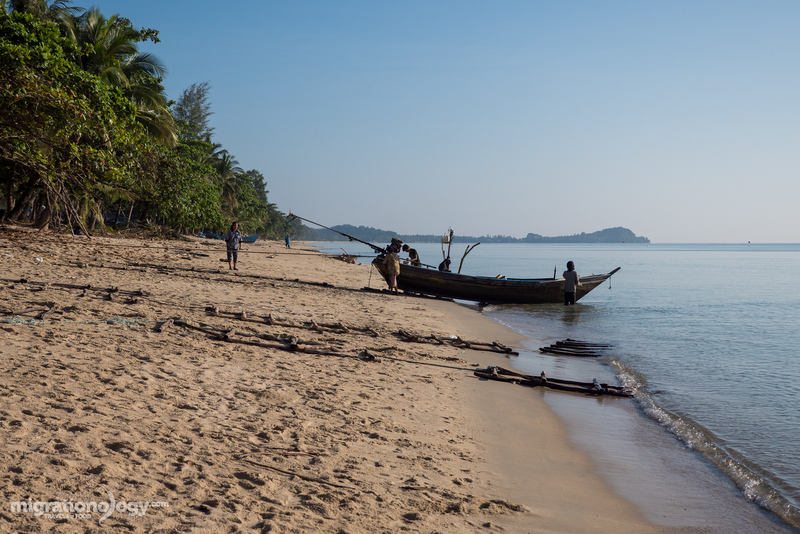 It’s also an amazing beach town, a little more developed than Sichon, but still very peaceful and quiet. My wife and I stayed at Baanchaylay Resort, which was fantastic. 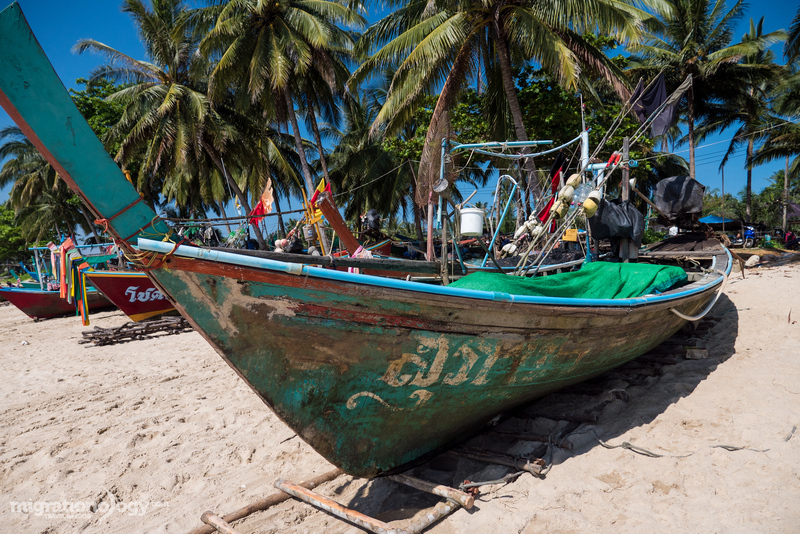 If you have a chance to visit Talad Baan Plai Thon (ตลาดบ้านปลายทอน) fish market for a day, or to even spend a couple of relaxing days there, it’s truly an off-the-beaten-path and non-commercialized local community in Thailand, and that’s what makes it so beautiful. 155 comments. I'd love to hear from you! I would love to try the the eel (called here pad phet style). Such a good idea! Thanks for the tips..! Such fresh fish! That all looks so amazing! Interesting travel guide – thanks for putting it together! I would really like to try the coconut griddle cakes (and maybe the eel to get out of my comfort zone). Similar to what Chris said, it looks like I should try to visit Thailand someday soon – there is just seems to be so much worth exploring. Great work. I’m running out of excuses for not having been to Thailand yet. I know what you are talking about. When we visited Zanzibar and stayed in a simple cottage at the beach, I fell into that dream like status myself. Great article about Sichon. I definitively have to visit Thailand and see this little gem. As a vegetarian, I would not visit for the food but the beaches look absolutely lovely. Added it to my list. Wow man I had to Google this island. I thought I knew all the islands after traveling around Thailand for more than 1 year and writing all these island hopping guides. Thanks for the tip! Good post! Amazing photos! We love Thailand! Best travel ever! Awesome photos… we love Thailand. Haven’t been to Sichon, but it looks amazing! Very nices photos. I love this country! Mark thank you for sharing your world I see things that I would never see if it wasn’t for your videos. my kids travel around the world and try different food I am pretty open to trying new things. You make it possible for people to know about these things thank you for this. God bless you and your family. 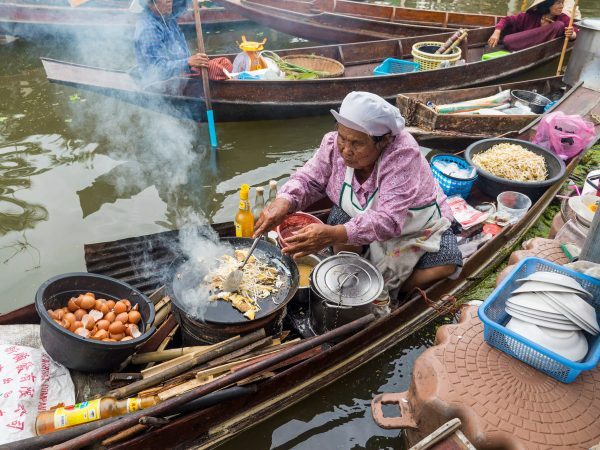 Now that is the Thailand people dream about when they book a trip there – thanks for giving us a look into Thai provincial life! Hi there, thanks for your sharing about Sichon of Nakon Sri Thammarat! The photos are impressive and after reading this blog, I suddently have a thought to go there for experiencing the local life like you. Amazing , what a great place . Your love for finding out of the way places for culture and food is infectious. I can’t wait to visit . I’m retiring next year and plan to migrate to Thailand . Keep up the good work . I hope to visit here soon . Love your photos, especially the fish photos! I’d any day visit this part of Thailand. And, I love the new look of your website! Wow! 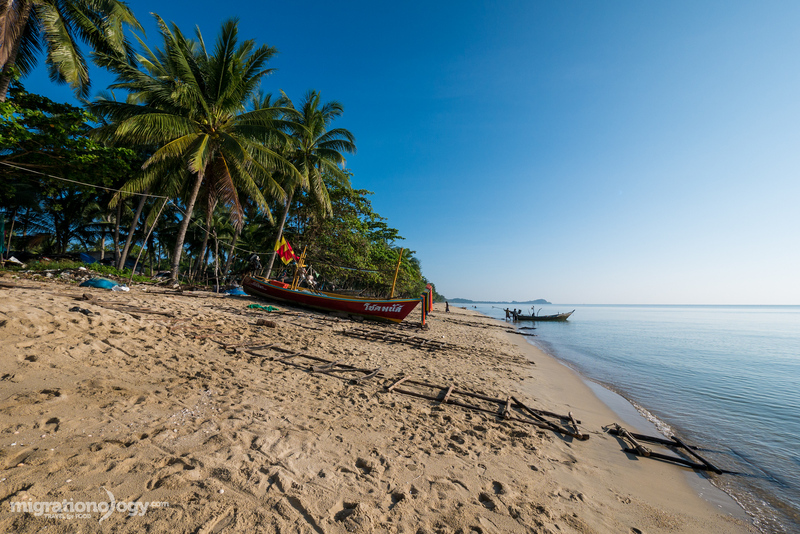 Your photographs are amazing – Talad Baan Plai Thon looks like paradise. I’m married to a Thai citizen from Buriram. I’ve bookmarked this post to show my wife – would love to visit here one day! After reading about SICHON of Nakon Sri Thammarat so I decide to visit in October. Maybe with you and your family if it is possible… Thank you Mark for sharing. Oops, forgot to add, have you and Ying considered a Thai language vlog? I’d love to learn about the language through food. Mark, Ying, and Michah I have to applaud your work ethic. I love your written words but I live for your clips on youtube particularly since it’s so cold in Melbourne at the moment. Thank you so much for educating me, and others who cannot afford to travel for whatever reasons. Thank you for video and blog about Sichon. Really beautiful and as it is. I am starting g a project to renew a resort on the beach nearr to fishing market. Hope for your co-operation . Do you edit you image before upload to this website sir? and what lens do you use for photogpraph? all your images so superb! i like your videos and photography! I loved the video. The people were so friendly, taking you to their home to cook the eel was amazing. With all the things happening in the world today it was refreshing to see such friendly humble people. I thoroughly enjoy your videos keep them coming. This market seems interesting and I am definitely going to visit it by next month. I am a huge fan of fishes and here in the pictures, I can see all fresh fishes calling me to have them up. I loved your article nice mouth watering article. Thank you so much for it. Wow that looks amazing. I think Thai food is probably my favourite cuisine! Amazing! Nice introduction. Can put in my visiting list. Hope that I can have the same hospitality when I go there. Mar, greta blog post as always. I miss ขนมครก ! Always used to get it on the way to school. stunning photos, thanks for sharing a article. Very nice. Thank you for sharing. Much appreciated. Hi Mark, thank you so much for your blog and videos that I’ve been following for ages. Immediately after reading your last post on Sichon, we booked our stay in Khanom this August, leaving behind the idea of going to the too touristic Samui. 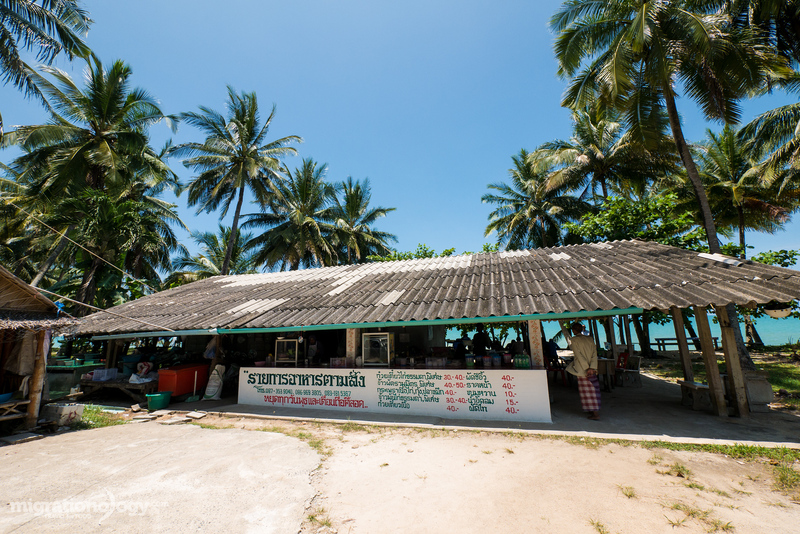 We would be very happy to have any suggestion from you about the good thai food spots on this coast. Hi Mark, thanks for the wonderful report and pictures of Sichon. We will surely go there on our trip to Southern Thailand next February. Is the fish market at Baan Plai Thon just once a week (what day?) or on all working days? the taste differences between the eels ? I am not good at writing of my thinking in english and typing them, which please understand. Another scenic and mouthwatering experience. What a joy! Good to see this serine area! Like somebody turned the clocks back… Is that a very tiny new member of your family I see? Congrats! Hey man, I watched this video with my students in class, they loved it!! They were laughing at you eating the chilies… until they realized you liked it! Then they were happy in a totally different way of course, yeah man they loved this video! Several of them asked for the blog name so they could check out some other videos… And I was left just totally jealous of the Eel. Man, that is quality right there, and that serene beach setting just cant be beat. Enjoy the day homie! Peace for now! Excellent Post Mark, and beautifully formatted and enhanced with imagery. I’m sharing this to my networks now. Thank you for all your hard work on your blog and videos. I enjoy reading them and watching every single video. I hope to one day soon to travel to Thailand for a visit. Thank you for all the great ideas on the course of that dream…. Can you put more remarks for halal food, i think most of your reader and youtube subscriber are Muslim from Malaysia. it will help a lot when we come to travel to Thailand . Hi Mark, lovely.great video.i love it. Hi Mark&Family, thank you so much for video. I have question about guide you used in travel to Jeonju and Gunsan Korea.If you can give me there info that would help out so much. Hi Mark, thank you so much for awesome video. I love of your choices for visiting a very typical Talad there. I enjoyed this video sooooo much! The food seems to be similar to Indonesian food. Those little coconut pancakes look so Delish. I recognize them as the Indonesian Serabi. Hi Mark & family, thank you so much for sharing . I have always enjoyed reading your amazing blogs; they are not only very informative but also interesting & factual. Keep up the awesome work and may God’s bountiful blessings be with you and your family.. Hope to meet up with you and your wonderful family one day. Thank you very much for reading Doris, and greetings to you family as well. I was last year for new years eve on a 10 day vacation to Phuket, but I was not involved in the organization of the trip and it was bad. The place has horrible food. At first I thought that this how food tastes in Thailand, after I googled a little I found out that it’s just Phuket. So I plan on going again this year but in a different location, haven’t narrowed down yet but I’m getting there. Hey Andrei, so sorry to hear it wasn’t a good trip. 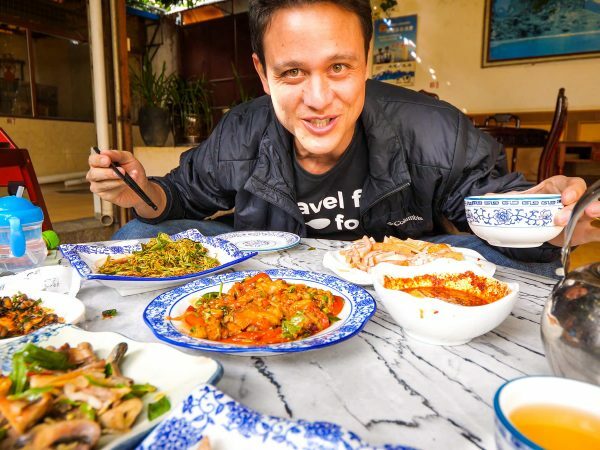 Yah, unfortunately at some of the tourist oriented places, the food can be pretty bad, but there is some amazing local food in Phuket as well. Traveling yourself to southern Thailand is a great idea. Fantastic video, thks for sharing and the next trip to Bangkok will arrange a trip there. Really very interesting. Thank you for watching Henry! Fantastic video thank you for sharing, it certainly gets you thinking about the next holiday, as a lover of fish I this seems a great place to visit, wonderful Mark!! Thank you very much for watching and reading! Thank you for reading Diana, awesome to hear that! Good job, and beautiful videos mark , I love your videos, , 🙂 thanks so much for sharing your videos . Thank you very much Reyna, hope you’re doing well! Hi Mark; Sichon is very beautiful. Happy for you. I wish I was there. Thank you very much Kc! Sounds cool Mark. I want to plan going to Thailand again for my 6th trip there. Nice to know of other places to visit. Thanks! Thank you for reading Priyada. Wow! Great video! We are heading back to Thailand for our 2nd trip, maybe we can visit this fishing village!!! Love your enthusiasm Mark!!!!! Thank you Lisa, glad you’ll be coming back to Thailand again! Fantastic review of this amazing place, I plan to travel to Thailand some time next year. Your videos and blog post have definitely given my girlfriend and I proper insight on this amazing country. I’m so excited, this will be my first trip to Thailand and I hope this adventure will lead to many more! Thanks again, Mark and Happy Father’s Day! Hey Brandon, that’s fantastic that you’ll be coming to Thailand for the first time. Hope you have an amazing upcoming trip! I had a house in Thasala with the Sichon River flowing past it. After watching your video, I regret not having built it in Sichon. Thanks Mark for all your videos. Chok dee Mak Mak to you and family. Hey Larry, I just drove to Thasala but haven’t spent time there. There must be some nice quiet places there too? Hope you’re doing well, thank you for sharing! That Sichon is a beautiful place. The video is so pleasant and to see of simpler life style is a blessings! The pictures and video is refreshing and thank you. Ahhhhmazing place!! Thank you for sharing your best kept secret places that you visit! Excellent video! Best regards to you and your beautiful family! Happy Father’s Day! Thank you very much reading Theresa and for the Father’s day wishes! I’e been passed through Nakornsritammaraj on the trip to the south of Thailand. So only saw the ampur Muang not Sichon. Too bad ! I’ll keep Sichon in mind. Thanks for the info. Great to hear that Malichat. There are some really nice places to stop in Nakhon Si Thammarat, next time you visit. Thank you Mark for the wonderful pictures of interesting and out of way places in Asia. Although I’ve been traveling in Asia for many years, there are still many places where I have not been or explored. Thank you Jerome. I think the beauty of traveling, there are so many amazing places to keep on exploring and visiting! Thank you for reading Mark. Thank you for the Sichon video. Sichon is so breathtakingly beautiful and the friendly people there are just awesome! 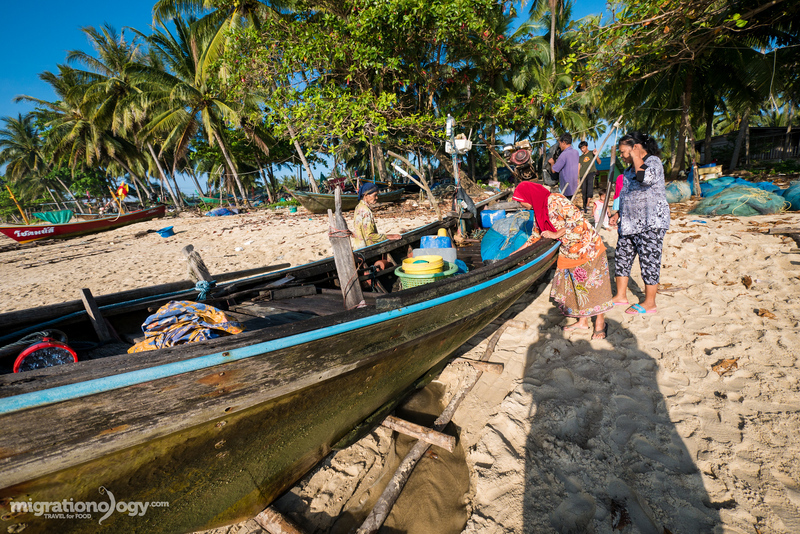 I hope to be able to go there one day and get to experience mingling with the friendly people at the market while waiting for the fishing boats to arrive and tasting the delicious food there as well as to see the monkey picking the coconuts. Thank you very much FAR, hope you can visit here soon! Thank you very much Alex, hope you have a great upcoming trip to Thailand! Thank you for reading Johnny! Hi Mark and family, yes this place is amazing, peaceful,quiet…remember me Sri -Lanka ‘s coast near Beruwela(2001)….. a lot of fishing’s boats and friendly people. Hey Ariane, thank you very much, Beruwela looks amazing as well! Thanks for all of your great work. Keep it up. BTW, Happy Father’s Day! Hi Mark, My husband and I are BIG fan of Migrationology! I have to agree with you, this Sichon, Thailand blog is one of your best! The writing, food and the photography is breathtaking. Thank you! thank you for the beautiful authentically Sichon with its scenery and food in your video. It makes nostalgic feeling for me, remembering as I was a little girl in Indonesia 47 years ago , my origin country. 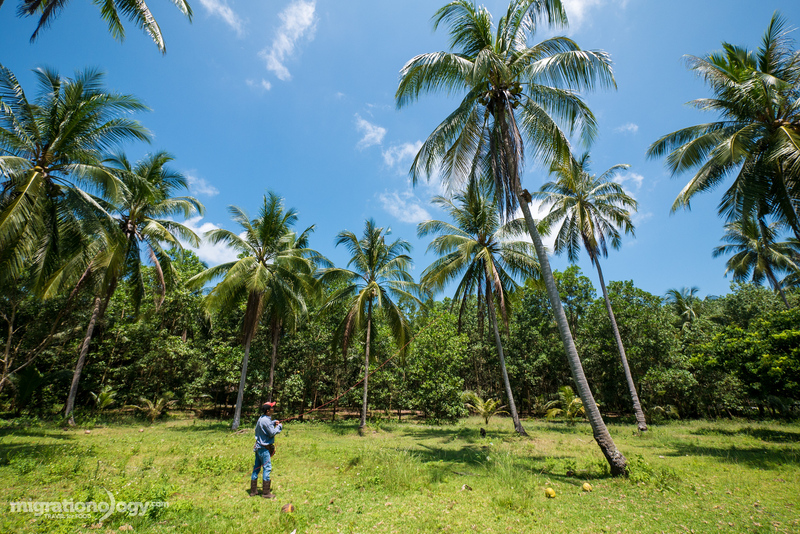 The peacefull scenery with the coconut trees are really similar with early Indonesia . Hi Inge, great to hear from you. Thanks for sharing about your growing up years in Indonesia, glad this brings back good memories! Wowwww, what a beautiful place is that! And the food… mouth watering. Thank you very much Roman, glad you love seafood too! Your helpful info is always welcome and even though we will not be in the south this year I will put this on our list! is this area in a peaceful location? We have been in deep southern Thailand a few times without issues but I know things are not so stable in some places. Hi Hank, thank you very much. Yes, this area is stable, haven’t ever heard of any problems in this province. 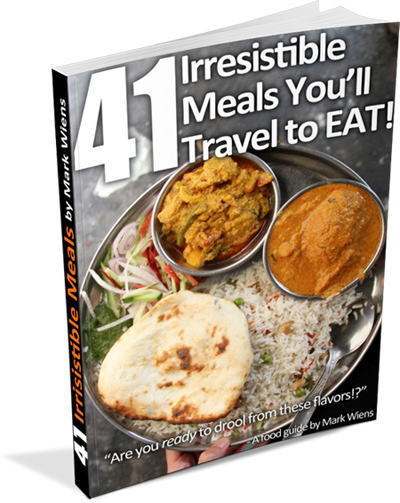 Mark, you just never fail to exceed in showing and explaining dishes and life experiences from around the world. Thank you for all you do, every day! Thanks a lot for the insight into the fishing village. Will go there if I have time in my next trip in October/November. Mark do you do any tours in Bangkok? Thank you for reading Timothy. At the moment I’m not able to do any tours with my family responsibilities and my sporadic travel schedule. But maybe sometime in the future, thank you for asking. Also writing from RI, Providence to be exact, enjoying this video of Sichon. Makes me nostalgic for Napali in Burma, my country of origin, similar foods also, though coriander in place of basil. Been following your blog for awhile and always recommend to other food appreciators. Looking forward to the next installment! Thank you very much Marika, and glad this brings back memories. Thank you for your support! Hi Emman, thank you very much for your support, that’s fantastic that we share a similar interest in traveling and food. Hope you and your family are doing well! Nice to hear from you again and thanks for this interesting and mouthwatering video. Congrats to the very good photos. Thank you Peter, hope you and your family are doing well also. It is nice to hear from you again. As usual enjoyed your video and photos. Sichon is definitely a place I will visit in my next trip to Thailand. Keep up the good work. Regards to the Family. Stay in touch. Thank you very much Suli. Amazing! I’ll make sure to visit this place next time. Keep up the great work. I have been a loyal follower sinde you had around 350k subs. Maybe someday you should come to my country (Denmark). It would be really awsome to watch a video where you eat danish food. It’s kinda a dream, I always have. By the way. I’m going to BKK June 29 – 2017. Can’t wait ???? Hi Sebastian, great to hear from you, thank you very much for your support over the years. I would love to visit Denmark, that would be amazing. Hope you have a great trip to BKK! Thank you again for watching my videos. Lovely blog. Simple and yet detailed. I just love how you do it, Mark! Keep it simple and always make it fun! Thank you so much Runer! It’s a cloudy morning here in Rhode Island….seeing this video…oh, I need to get back to LOS! Thanks for all the great stuff that you do!! thanks Mark, quite interessting, peaceful place to visit. Thank you for reading Zafar. Thank you Mark for travelling for all of us and giving us the pleasure of enjoying the tastes and scenery of faraway destinations. You are doing it great, just keep up the good work. ???? Thank you very much Peda! Beautiful places and food looks yummy! Thanks for sharing Mark! Wow, the serene beach and of course the foods seem very delicious. The pictures and the description had totally lured me and I want to visit there one day. Keep up the good work. the sea coming into the port….we often go there to buy and get The Freshest possible Fish, crabs, shrimps , shellfish etc etc directly from the Boats or from the fish markets on the beach .!!! Up till now …all my life I would always remember Pasuruan with the Most FRESHly caught seafood ever ….and now 77 years later – living in the USA – I still know what fresh seafood is about ! I like Seafood very much and especially Crabs and Shrimps the most favorite of all ! It is such a coincidence that I am eating Dungeness Crabs ( Singaporean Chili Crabs ) here in Austin Texas right now …. THANKS for sending the video reminding me of the years long long ago in Pasuruan by the sea my hometown ….and the SEAFOOD ! Hi Jenny, great to hear from you, and thank you so much for sharing a little about your story and where you grew up. Glad this brings back good memories, and glad you love fresh seafood so much as well. Hope you’re doing well, thank you again for your support! This place shall be on the list come November. I love the off the beaten track places. The real life experiences. Thanks for the insight always looking forward to your adventures. In my second home Thailand. Weirdly, had just watched your clip on youtube when I read your email. Out of the hundreds of clips I’ve watched of yours (and Ying’s) this is my all time favourite – the sense of community, the warmth, the geography – great work capturing these qualities – for the first time the food part was secondary for me. Honestly, though, I am a huge fan of fishing villages and seeing sustainable fishing. Hey Candice, thank you very much for your kind words. I think for me too – the food was good, but the community and people are what really made this place amazing. Thanks for your support! Wow, I’ll make sure to pin this place on my map next time I plan a trip and the food is amazing! Pictures are amazing too. keep up the good work! Hi, Mark! i’m one fan of your’s here in your migrationology, i’ve always watching all of your video about foods all around the world,,,,keep it up and more power to you!,,,also regards to Yhing and Mica….. Thank you very much Romie, really appreciate your support! hi Mark i loved your video about Sichon market , especially the coconut griddle cake. Ive been staying at Baanchalay in Khanom since many years when i go to Thailand. Vist my finnish friend Mickey who cooks amazing western cusine in Dusty Gecko in Khanom n opposte him very good coffe place n next to it roti place. How do i contact you for good places to eat in Nakhon si Thammerat city???? Hey Eddie, awesome to hear that, that’s a little slice of paradise, and such a relaxing laid back place. I’m not in Khanom anymore though, it was a couple months ago. But thank you, next time I’ll check out his place! Pictures came out really well, telling a story in themselves! The local experience and the food in Sichon seems quite authentic! Still unspoiled.